Thank you for the mention :) You are most welcome. I do love our blogging community spirit. It's always hard to be specific because you don't want to hurt feelings. Great post. It's so wonderful when people help you without a second thought! Thanks for stopping by Better Read Than Dead and following. I have happily returned the favor. 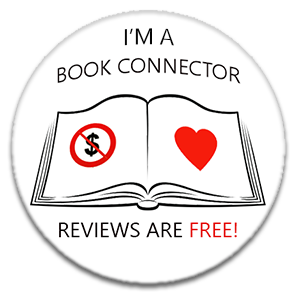 These book bloggers seem to be the friendliest and welcoming people I've met! How awesome it is that they've made such a difference in your life. Nice thank-you! Thanks for the follower, following you back. I'd say book bloggers are the best! I hope you had a wonderful thanksgiving! Thank you for following my blog! I'm following yours back and Alison is different from the other bloggers for doing that, I know how hard it is, especially with over a hundred blogs to visit! Thanks for hopping by my blog. Following back. Happy FF. I like the title of your blog. I especially love your FB profile pic. There's a lot of blogging friends to be thankful for! More than a few have helped me out in the past! Don't know what I would've done without them! Thanks for stopping by at For The Love of Reading! Thank you so much for the wonderful shout out. That's so sweet of you. It's ironic that it came on the one weekend where I don't have any time to comment on the FFs :-) Unfortunately, I'm not perfect about commenting back, but I really try to get to as many people as I can since I like having people visit my blog too. Thanks for the great blogger recommendations!